In New South Wales, restraining orders are called Apprehended Violence Orders (AVOs). The main legislation concerning AVOs in NSW is the Crimes (Domestic and Personal Violence) Act 2007. In each Australian state and territory there is legislation allowing individuals to apply for a restraining order. These orders are designed to protect a person from various types of abuse, such as physical, psychological, emotional, and sexual abuse. More information about restraining orders can be found in our dedicated article, Restraining Orders in Australia. Apprehended Domestic Violence Order (ADVO) – these orders are made when the parties are related, living together, are living in the same residential facility, are in a carer relationship, or in an intimate relationship with each other. This includes individuals who were previously in such a relationship. Apprehended Personal Violence Order (APVO) – these orders are made if there is abuse being committed between people who are not related and do not have domestic relationship. This includes neighbours or work colleagues. The information provided in this article relates to both types of Apprehended Violence Orders in NSW. How do I apply for an Apprehended Violence Order in New South Wales? To apply for an AVO you can contact NSW police to make an application on your behalf. If they fear for your safety the police will make a provisional order (which is temporary) until the matter can be dealt with in a court. Provisional orders are made in circumstances where domestic violence has been reported and the person is in need of urgent protection. Provisional orders do not need to be made by a court. In some circumstances, the police are obliged to make an application for a provisional ADVO. These are situations when a police officer suspects that a domestic violence or stalking offence has been committed. A person can apply for an ADVO or APVO on their own by attending their local court. A lawyer can assist you with your application and it is recommended that you get legal advice before applying for an AVO. After submitting an application, the matter will be listed for a hearing at a local court. If you are a defendant who has been summoned, it is important that you attend court at the requested date and time. Failure to do so may result in the matter being dealt with in your absence. A solicitor can prepare you for the hearing and represent you at court. More information about applying for an AVO can be found in our dedicated article, Applying for an AVO in New South Wales. When will a court make an AVO in New South Wales? A court is to make an ADVO if it is satisfied that the person seeking protection has, or has had, a domestic relationship with the defendant and fears the defendant will commit domestic violence. In some circumstances, there is no need to prove that the person actually fears for their safety. This includes situations when the protected person is a child under 16 years of age. There are a number of factors the court will take into account when determining whether to make an ADVO. This includes the affect the order may have on any children involved, any hardship that may be caused to the protected person and their children, and the accommodation needs of the relevant parties. 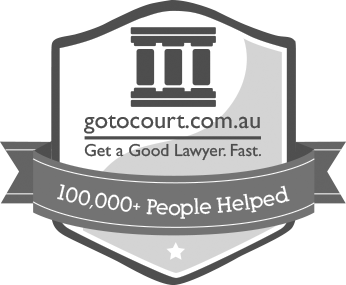 The court in NSW has the power to make an APVO against the defendant for the protection of one or more people. A court can make an order if it satisfied that the person seeking protection has reasonable grounds to fear, and in fact fears, violence by the defendant. A NSW court can also make an order if the defendant has engaged in conduct that intimidates or stalks the person seeking protection. This is provided that the court is satisfied that the conduct warrants making the order. There are exceptions to the requirement of having to prove that the person fears such an offence, such as when the person is a child. The court takes into account similar factors listed above when determining whether to grant an APVO. What kind of conditions are included in an AVO in NSW? A court may order whatever restrictions on a defendant’s behaviour it thinks fit to ensure the safety and protection of the protected person and their children. Intentionally or recklessly destroying or damaging any property belonging to the protected person. Other types of conditions that may be imposed include a condition that the defendant cannot approach the protected person, or prohibiting the defendant from approaching the protected person within 12 hours of consuming alcohol or illicit drugs. It is important you tell the court, your solicitor, or police what conditions you would like imposed so that the AVO meets your situation. What is the penalty for breaching an AVO? Although an AVO is a civil order, breaching an AVO is a criminal offence. A person found guilty of breaching an AVO may be fined up to 50 penalty units ($5,500 at the time of writing) or imprisoned for two years. Contravening the conditions of an AVO is a serious offence and should be reported to the police as soon as practicable. For further details see our dedicated article, Breach of an AVO in New South Wales. How long does an AVO last? An AVO will usually state when it expires. The period specified is what the court believes is necessary to ensure the safety and protection of the protected person. If no expiry is specified, the order remains in force for 12 months from the date it was made. Can an AVO be changed or cancelled? Yes – an AVO in NSW can be changed or cancelled, provided that there has been a change in circumstances. Applications to vary or amend an AVO in NSW need to be submitted to a local court. This can be done by a police officer or any interested party in relation to the order (such as the defendant or protected person) at anytime while the AVO is in force. The application needs to set out the reasons the person wants to cancel the AVO and, in the case of variation, the kinds of variations sought. A solicitor can assist you in completing an application to have an AVO varied or cancelled to meet your circumstances.